Nanasaheb Shendkar (नानासाहेब शेंडकर) (born June 1, 1955) are famous and nominated As Artist. Nanasaheb was born in a peasant family in Lonimavala village of Ahmednagar district of Maharashtra over 150 peoplewere born in this village & one of them were Nanasaheb Shendkar who was born in this large farmer’s family.During his primary school by 7th grade he recognised art very interesting in his hand. Making clay objects,drawing pictures in classroom gave them encouragement to Engage in Teaching. However he had inbuilt qualities of Arts, but at that time, the business of farming or wrestling painted in full swing even though ignoring that they went against the exceptions of their family and without the guidance or encouragement Nanasaheb came up through immense hardships. Despite been enrolled in college after SSC they took their Drawing Intermediate exam results and went to Mumbai. After getting admit in JJ School of Arts|J.J school he opted to work during night at factory so that he can immensely work hard and pursue his studies in Arts. While in college itself, they were interested in Drawing different kind of designs on umbrella,then tracing names, making Shop Boards and also working on Banners & likewise they Secured First and passed with first class from the J J School of Art|J.J.School of Arts. Pursuing degree in Arts college they got opportunity to work with illustrious theater personalities like professor Kashinath Salve & an Lighting Designer Raghuvir Talasikar under their guidance they learnt Theatrical creations as well as in cinemas, they worked and excelled in stage designing with such renowned actors and directors like T.K. Desai, Ramesh Sippy, Devanand , Ketan Anand, Manmohan Desai & Mukherjee brothers. Along with set designs in theater, he also designed around 20 to 25 films beautifully. Making use of thermocol for decorative painting, sculpting and fine carvings ,creating moulds and using the moulded pole heights Column|pillars & domes for decoration purpose such all kinds of goods were used for research by Nanasaheb. When the factory in 2001 was closed completely Nanasaheb invented Cardboard (paper product)|Cardboard Makhar, Which was based on eco-friendly concept. For their work on this eco-friendly innovative concept he was awarded from two different marathi channels named DD Sahyadri and E.tv colors marathi. To celebrate 100th anniversary of Ganapati festival Nana saheb made 1000 Afdaginis(Signboards|Sign-Boards), Which was later contributed to the Local mandals(associations) and thus the century was celebrated. The Siddhivinayak temple design during Ganesh Utsav is as well garnished by their hands where as they did the same work in the designing the model of Siddhivinayak Temple, Mumbai|Siddhivinayak Temple . Thermocol is a substance which cannot be naturally destroyed. Because of the low price to reuse these accumulated thermocol their are no machinery or mechanisms as such.Along with thousands of empty trucks during ganapati celebrations thermocol gets gradually gather in the form of garbage or into ponds & rivers.It even blocks the drainage system so by considering this matter seriously and to stop this lawlessness activity in 2001 nana saheb took the brave decision to close his 25 years old factory along with his 50-70 Craftsman|craftsmens. After closing his previous factory they made Makhar’s based on Cardboard (paper product)|cardboard and thus brought for sale. Without any other support he built gigantic set of Hawa Mahal|Hawamahal architecture. From the next generations perspective they must treasure their art and culture towards society this made Nanasaheb to guide in terms of free workshops and offering them the required materials he trained thousands of students from different schools.Along with all the media support they tried to transmit the information to the general public or common people from the smaller villages. This movement was started by only support of Nanasaheb, which not only got spontaneous response from ganesh – devotees but it was known to maximum people in society. Movement not only flourished in Mumbai, but as well as it got spread in entire maharashtra and in Foreign Country|foreign countries. People living in other countries made a contact and now are part of this movement. Along with the Makhars, Nanasaheb ventured into advertising and exhibition display item. Striving hard for 10 long years they invented modular science system which was used in India and later they gained appeal to take part in many exhibitions in countries such as America, Dubai, Germany and Sri Lanka. Every person has more or less artistic extent, for that purpose appropriate training and provide professional background artist must give rise to his or her own concept. 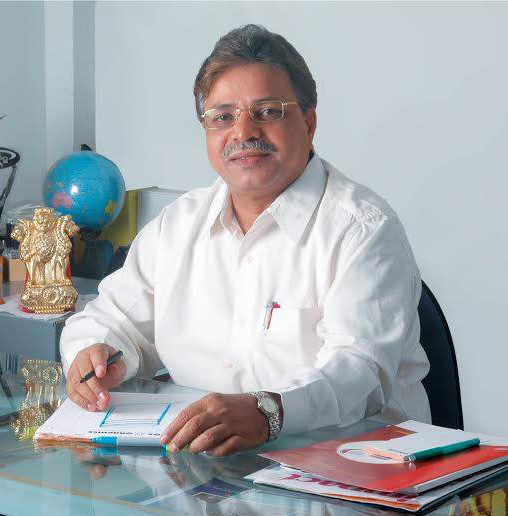 In entire India the nana saheb has the psyche to establish franchise of 100 units.Artist all along has been to reduce the work of the Cluster Industrial habaca on 10 acres of land in dispute since 2014 have continued their efforts in order to build capital facilities of products from China. Since 2014 along with all artist they bought 10 acres of land in vadh and on that they have started working for Cluster Industrial hub using as much as less economy in order to build good handful capital facilities of the products from China. The place where this industrial hub would be set up is the castle where there is no electricity, no roads to transport-point. Nanasaheb believes that with the help of government and support of all of us we can fulfil this dreams. Until now Nanasaheb not only dreamt first of something but with immense suffering he actually made the dream a reality.